Register to become a supporting sponsor of Statgrader. By showing your support, we may feature you in our marketing content. As long as your organization is digital marketing related we want to help you get noticed in our network. Have you recently published work such as a new website launch or a new blog post article? Do you have new case studies you want to show off? Let us know and we will add your content to ours and provide a backlink to your source. We can help you get more traffic! 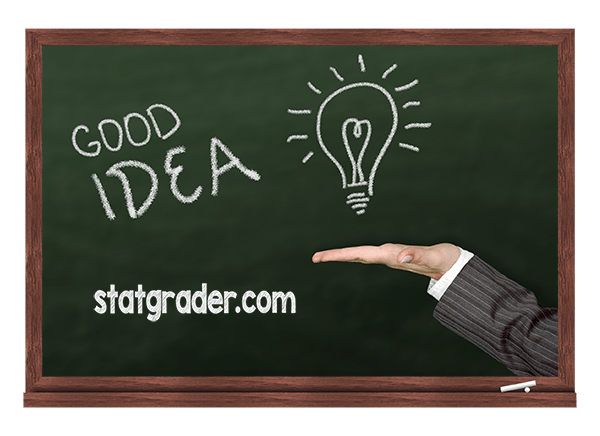 Let Us Know You Support Statgrader! Statgrader is an advanced website analytics grading application that can identify areas of opportunity for improvement to website performance and conversions. Statgrader provides simple reporting visualizations that are easy to understand and acknowledge that action should be taken in order to improve the results. Statgrader analyzes website analytics over time and provides feedback and suggestions to its users on what they can do to get better results. Once a recommendation is made towards a data segment, that user is then referred to possible vendors that can complete the marketing work for them. Part of our recommendations is to showcase relative content such as case studies that relate to the suggested improvements to be made to their digital marketing. By supporting Statgrader and giving us your ideas and case studies, your brand can get noticed by millions of website owners all around the world! Users are rewarded for continued performance increases over time once they take action with a qualified vendor in our network. Statgrader is a worldwide service and can be used by anyone with a website. With millions of potential subscribers, Statgrader can help your business stand out because our users want to read digital marketing content that supports performance improvements such as case studies and new marketing trends in the industry. That’s the power of Statgrader.com! Our goal is to support digital marketers and business owners everywhere by providing them with industry best practices and game-changing digital marketing services. 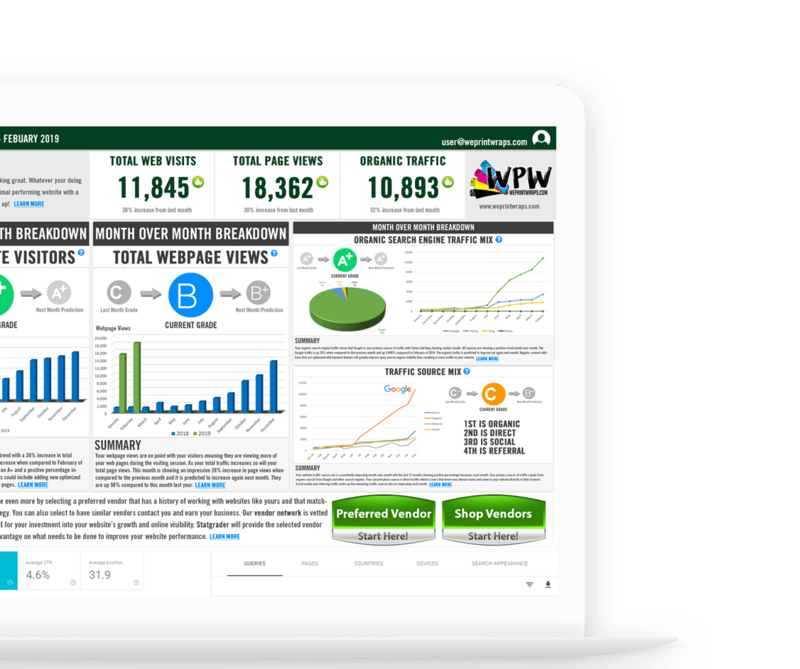 With the right match, you could be the preferred vendor we recommend our report users to. With new Statgrader subscribers signing up every day, you could get new business right in your inbox daily. © 2019 Statgrader.com. All Rights Reserved.